Something strange happened within a few days of the mass shooting at Santa Fe High School that killed 10 people and injured 14 others. The story virtually disappeared from the news cycle. This is quite a remarkable change from the weeks of non-stop media coverage after the Parkland, Florida shooting that resulted in huge protests around the country and bad legislation in Florida. First, there are a lot of similarities in the two atrocities. The killer in both instances was a mentally disturbed, bullied teenage boy who had shown warning signs. However, it is well-documented that in Parkland, law enforcement and school officials (government) missed or purposely overlooked dozens of red flags regarding the killer that could have prevented the killings. Seventeen people were killed in Parkland. 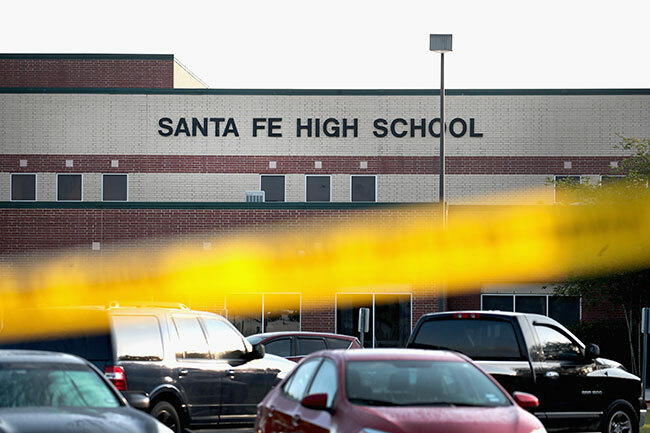 Ten were killed in Santa Fe. Both are located in conservative states with strong Second Amendment protections, although Texas is more conservative. Both have happened during a time of rampant but factually ill-founded fears of school shootings, and a media that has an anti-gun agenda it pushes shamelessly — including the use of grieving teenage survivors. So what are the differences? Three stand out. One, the gun that the Parkland killer used was an AR-15 semi-automatic rifle. It is what the media insists on calling an “assault weapon,” without ever really explaining or describing what is meant by the term. It’s scary looking and appears similar to military assault weapons. But it is the same as any semi-automatic rifle or pistol. One shot per trigger pull. In Santa Fe, the killer used a .38-caliber revolver and a shotgun — not the infamous “assault rifles.” There is very little support among Americans for banning revolvers or shotguns. So that was one big difference. The second is that the Parkland killer was never stopped. Officers stayed outside and did nothing while he continued to massacre people. He just finally quit murdering and walked away from his school slaughter, later being arrested at a fast food restaurant. In Santa Fe, men with guns stopped the killer. The teen was cornered in a room by armed school security until more police arrived and he surrendered. A final difference is in the community and the students. Parkland is in the heavily urbanized, liberal, anti-gun corridor of Southeast Florida, from Miami through Fort Lauderdale to West Palm. The students there reflect that urbanized sense of guns as frightening, and really do not seem to grasp the purpose of the Second Amendment. They came out very strong for gun laws and the media ate it up and national, liberal organizations quickly organized them. Santa Fe is a semi-rural area of Southern Texas between Houston and Galveston. The people there see guns as part of the culture and have a more ingrained understanding of why there is a Second Amendment. For instance, almost no Santa Fe students participated in the national school walkout in March. So the differences in coverage seem to be based at least somewhat on how it plays into the media narrative of blaming the NRA and gun owners and pushing for more gun control laws. Parkland — despite the myriad failures of government along the way, plays nicely into that narrative. Santa Fe doesn’t really fit narrative. And it's why data on global warming that contradicts the "consensus" view somehow gets lost on its way to the printer. Government has a vested interest in a political agenda and using science to further that end has become commonplace by both parties. It may be the most controversial right we have as U.S. citizens: the right to keep and bear arms. 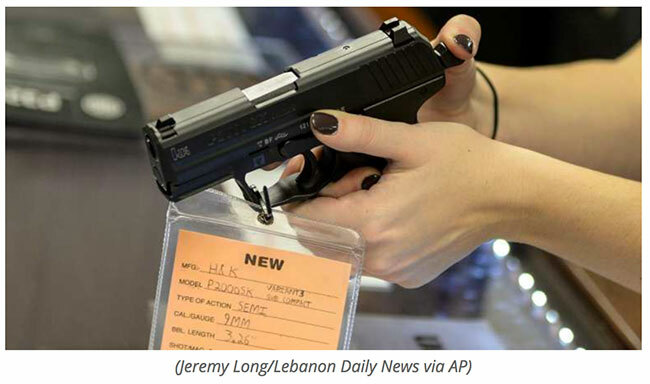 The root of that controversy is in the often misunderstood intention of the Second Amendment. So what is it really about? Very clear and honest speech on why it's virtually impossible to find and implement effective solutions to issues involving guns and the second amendment. RAND’s analysis found some evidence that laws aimed at keeping firearms out of the hands of small children had some effect on rates of suicide and accidental gun injuries. Morral also surveyed 95 gun policy experts on both sides of the debate, asking them to rank the ideal outcomes of any given gun control legislation. The outcomes included lowering homicides, suicides, and mass shootings as well as protecting privacy, and enabling hunting and sport shooting. The vast majority of the expert responded that cutting suicides and homicides should be the top priorities. Many gun control advocates have called on the federal government to invest more into gathering accurate data on gun violence in America. Congress has long limited the funding for such studies and prevented gun violence from being considered a health issue that would fall under the jurisdiction of the Centers for Disease Control and Prevention (CDC). “See something, say something” – that’s what they tell us to do, but the question now becomes do they really want us to? And, when we do, they do really act upon it? I want to take the time to articulate the real concern we should have in the aftermath of the Stoneman Douglas High School shooting that tragically claimed the lives of 17 Americans, and other wounded…not to mention the trauma that many may experience for years to come. It now appears that all of this could have been prevented. We now know that just in January there were warning signs, and information provided to the FBI. This came after the tips from a gentleman after seeing very disconcerting social media posts by one Nikolas Cruz referencing shooting up schools. What’s even more concerning is that the progressive socialist left doesn’t EVER allow facts to materialize. Instead, they immediately rush to their preconceived talking points and judgement. The legal possession of an AR-15 semi-automatic rifle by law-abiding citizens such as myself has nothing to do with what happened at Stoneman Douglas. And if we are to be adults, we need to analyze this episode, as well as others, and find trends enabling us to develop solutions to rectify this issue. However, it would seem some have no interest in conducting the meticulous mature analysis and assessments, as they prefer the insidious regurgitation of their assigned ideological rhetoric and talking points. Besides better security for our schools, greater parental engagement and involvement, and dealing with mental illness, what I find most troubling about this shooting is why wasn’t it prevented? And this isn’t by any means a criticism of the FBI, but rather an assessment of very perplexing trends. Instances taken alone cause concern, but when aggregated cause major alarm. Let’s consider some perplexing trends. Sayed Farouk and Tashfeen Malik carried out an Islamic jihadist attack at an office Christmas celebration in San Bernardino, California. California has some of the most restrictive gun laws in our Republic. But what’s more concerning is the fact that Tashfeen Malik entered the United States on something called a “fiancée visa.” Who knew, lo and behold, she provided false information on her entry application that was never checked or verified. Neighbors living near Farouk’s residence did see something, but due to our overly sensitive politically-correct fears of “Islamophobia,” those neighbors said nothing. Fourteen Americans were killed, and another 22 were wounded. The issue was not gun control. Demagogic leftists have wasted no time in pouncing on the horrific massacre in Florida to demonize conservatives while offering not one single solution that would have prevented the violence. Lefties insist we need to ban gun; conservatives say we need to lock up lunatics. 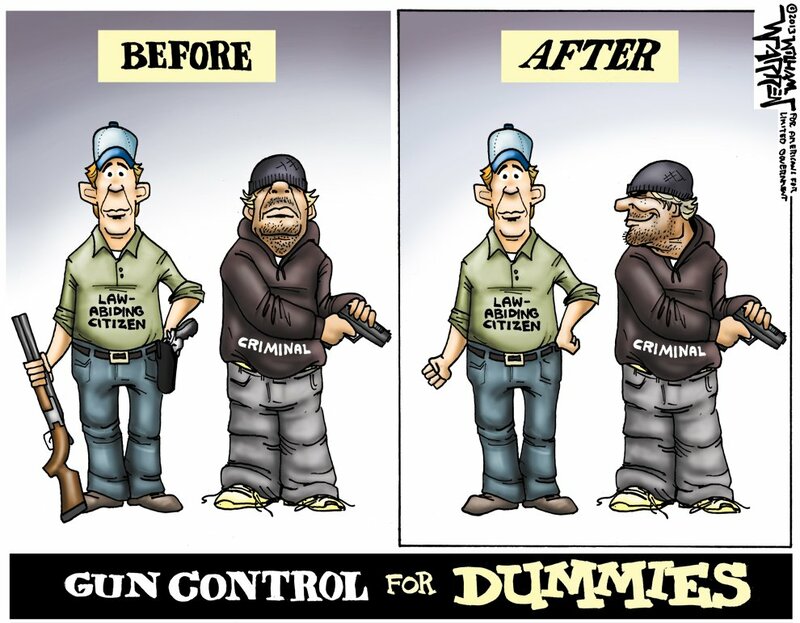 We will analyze the nuts and bolts of the gun control debate point by hollow point. Then, our youth culture correspondent Andy Millennial joins the show to give a young person’s perspective on the violence, policy proposals, and the future of conservatism broadly. Editor's Note: Lionel Highlights The Role of Mental Illness and Medications in Mass Shootings as being THE REAL PROBLEM. The Shootings are a consequence, not the cause. Look at the numbers. In fall 2017, about 50.7 million students will attend public elementary and secondary schools. Of these, 35.6 million will be in prekindergarten through grade 8 and 15.1 million will be in grades 9 through 12. An additional 5.2 million students are expected to attend private elementary and secondary schools. By sheer number, school shootings are de minimis compared to the number of kids who attend school, many troubled and certainly capable of doing harm. Be not mistaken, the problems is critical and must be addressed. But rationally.